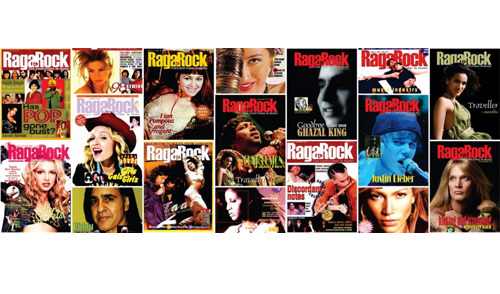 Raga to Rock – The Magazine for everything in music was launched in November-1998 and in a short span managed to become India’s #1 Music Magazine & is today one of the leading source for music news to Music Professionals and Music Lovers too. Raga to Rock specializes in all genres of music from Classical, Folk, Bhangra, Pop, Rap, Soul, Country, Blues,Ghazals and everything in music. The Raga to rock online version also has a monthly news letter that covers news and issues related to the Music. It goes out to over 15,000 subscribers directly involved in the Music and related Industries in India. Raga to Rock also includes ‘The Indian Music Industry Directory’, over 15,000 listing and 100 categories with complete details of who’s who of music and related industries. Music Magazines in India are devoted to Indian Classical Music and Dance, Theatre, Bollywood Music, Light Music and Dance, Indian Musicians, Exclusive Interviews, Articles from Experts, Legendary Singers and Instrumentalists, Latest News, Reviews, Current Events, Music Launch, Music Industry, Shows and Performances, Artists and Gharanas, Music Therapy and many other things.